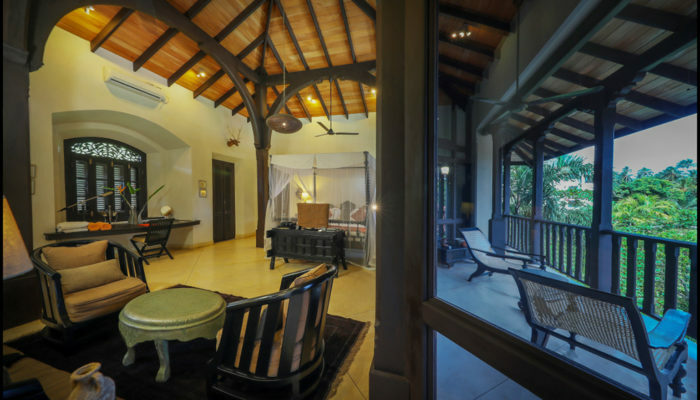 If you are searching for an exclusive villa rental, boutique villa in the most exciting region of Sri Lanka, then this is the place for you! 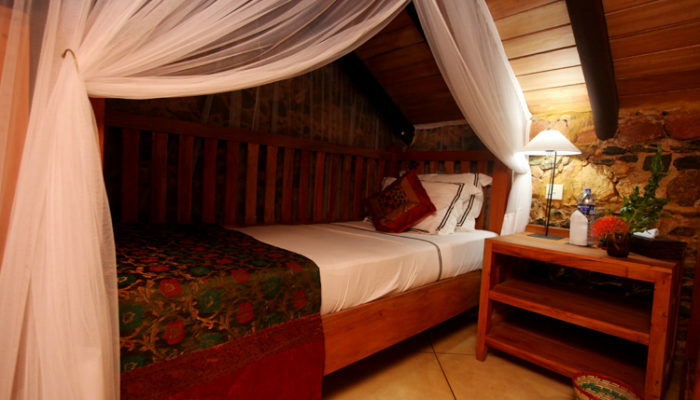 Sergeant House is a three minute walk away from the glistening waters and palm fringed beach of Unawatuna. Unawatuna Beach is the most popular and safe beach on the south west coast of Sri Lanka. Sergeant House, with its tranquil gardens, ponds and swimming pool, offers an ideal oasis to enjoy the richness of the south west coast and surrounding countryside. It is a unique villa complex composed of individual pavilions and an historic bungalow. These structures are focussed around an exquisite swimming pool that wraps around the dining pavilion and cascades towards a lily pond and gardens. 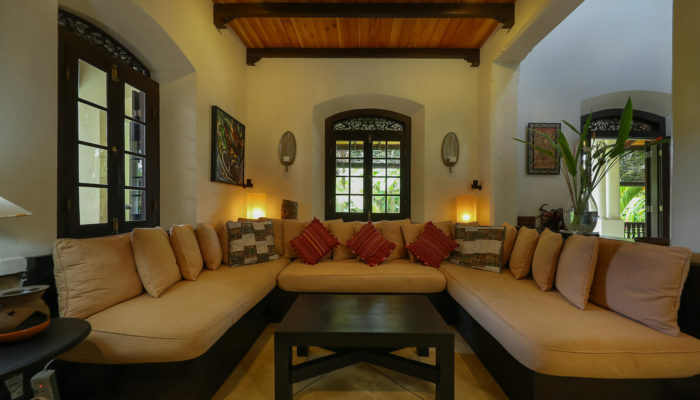 Sergeant House was built to reflect the best qualities of Sri Lanka by capturing its colonial past whilst reflecting the contemporary needs of our guests. It is the perfect size for individuals, couples or a small group of friends as we offer personalised service and attention to detail only found in the best boutique villa. On the beach, opposite Sergeant House, the gentle waves lap against its golden-white sands whilst bohemian cafes and restaurants adjoining the beach offer cool refreshments and delicious snacks and meals. 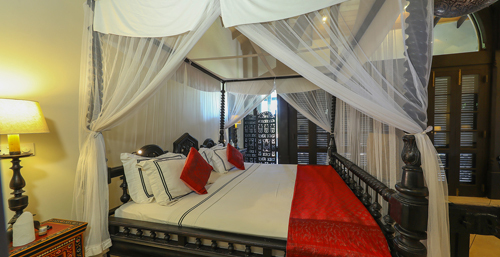 Less than a 15 minute drive away from Sergeant House lies the historic 16th – 17th century Galle Fort. This is an outstanding UNESCO World Heritage example of an hexagonal stone fort built on the edge of the Indian Ocean by the Dutch to protect this historic trading port and harbour. Today the Fort functions as a thriving local community and tourist destination sprinkled with European residents. 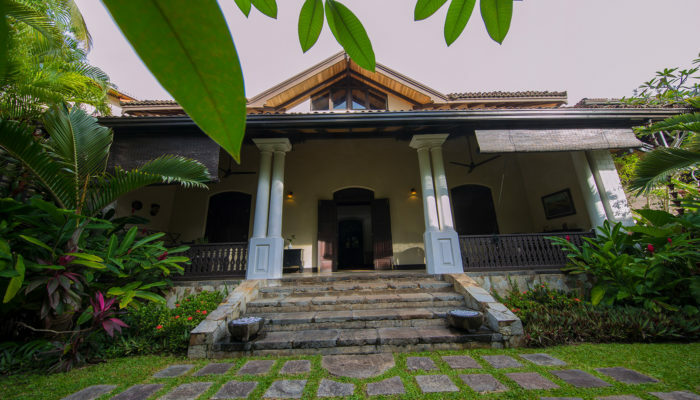 Within a few minutes of leaving Sergeant House you can be there exploring its ramparts, shops, cafes, museums and many historic Dutch and British colonial buildings. Sergeant House also makes an excellent central base if you are interested in the annual Galle Literary Festival, Galle Cricket Series, visits to Geoffrey Bawa Gardens and other famous gardens, a Sri Lankan cooking experience, touring ancient temples, kayaking from the beach or Koggala Lagoon, enjoying the multitude of water sports including scuba diving, snorkelling, swimming, surfing, trips to the southern National Parks and Sinharaja Rainforest (also a UNESCO world heritage site). 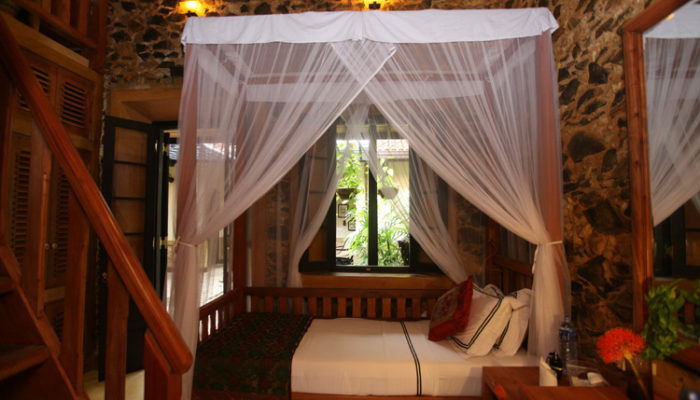 Book the whole villa complex, the bungalow or one or two suites with your friends or extended family. We can assist you with all your requirements: transport, recreational activities, meals and accommodation. Please speak to us if you are interested in any of these options. We are flexible to your needs and open to your suggestions. Relaxing with our tranquil gardens, ponds and swimming pool, offers an ideal oasis to enjoy the richness of the south west coast and surrounding countryside. 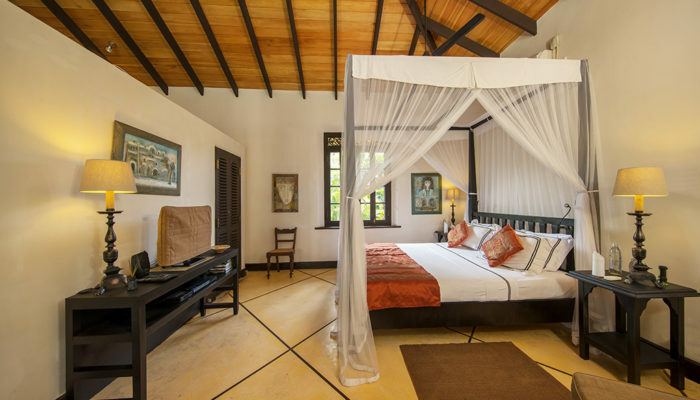 The bungalow and suites of Sergeant House are furnished in colonial style with original art, antiques, four-poster beds, polished cement floors with inlaid timber and ambient lighting. 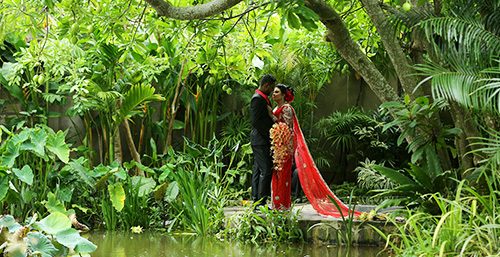 Sergeant House is a stunning place to stage a beautiful and chic wedding in our garden. We are able to provide a full Wedding Planner Service, themed wedding decor and many other facilities. Thank you for giving us a wonderful holiday experience. Right from the welcome drink to the lavish rooms and delicious food – we enjoyed every bit of it. Thank you for a wonderful time. It’s such a lovely place. All the small details really make the place. “Sergeant House” makes it easy to relax and forget that you will eventually have to leave. The atmosphere is super friendly and makes you want to chat with the other guests. The staff and rooms are amazing! Never want to leave this heaven. Sri Lanka has a lot of gems, but this is the brightest among the many accommodations we have experience. The house, pool area and gardens are amazing and it has been a joy to study the art work and craftsmanship put into every detail. Add a highly competent staff and its paradise.